DROID RAZR Pops Up at Nenamark, Looking Like a 1.2GHz OMAP 4430? 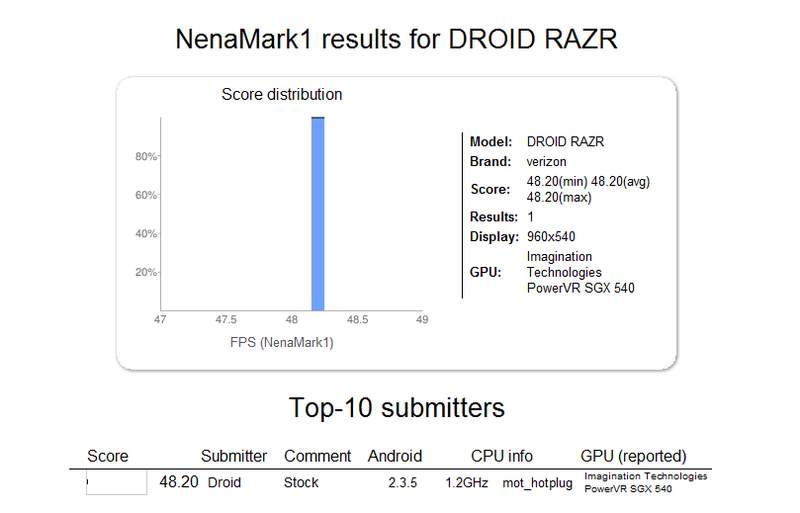 The DROID RAZR aka DROID HD aka Motorola Spyder made its first appearance in a benchmark over at Nenamark this weekend. From a quick look at some of the details that were included, we can see that a qHD screen (960×540) is confirmed along with what should be an OMAP4430 clocked at 1.2GHz (“Turbo”). It could end up as the 4460 which runs at a minimum of 1.5GHz, but those have reportedly been delayed. We have Verizon mentioned as the brand, but we expected that after a variety of leaks. 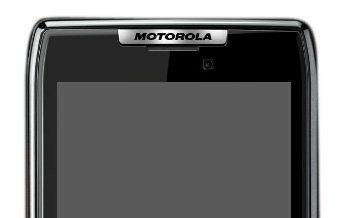 Rumors would peg this as one of Verizon’s big 4G LTE holiday releases – the device manager and Cellebrite sightings from the end of last week would certainly help those arguments.